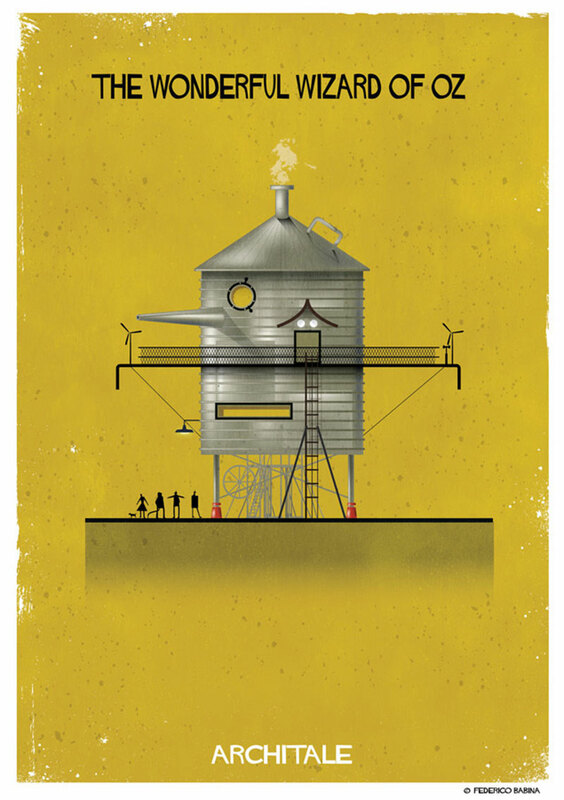 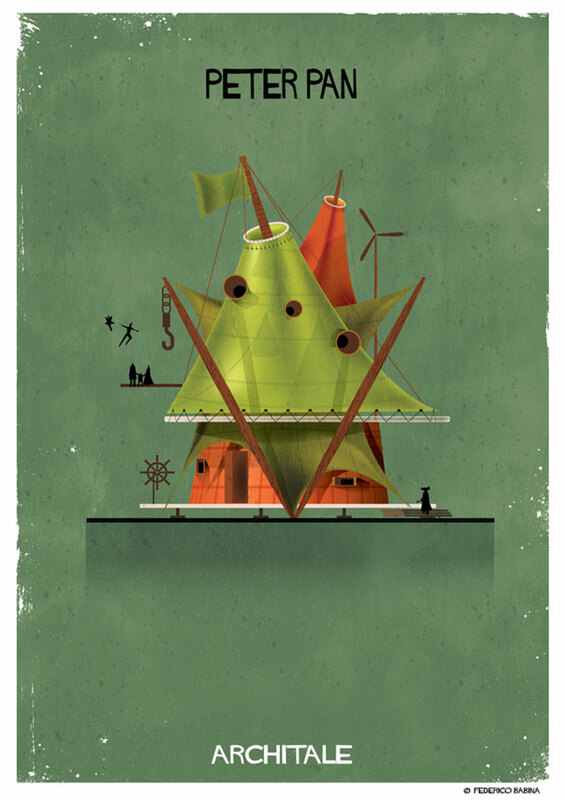 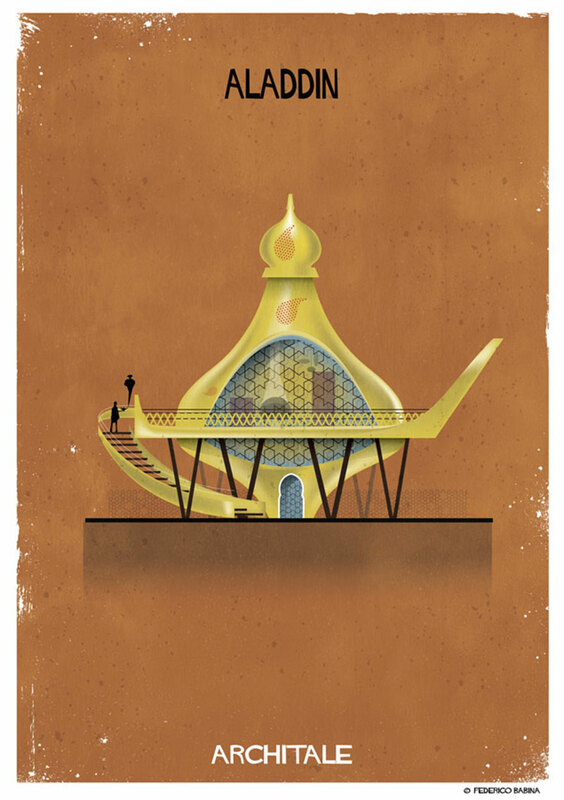 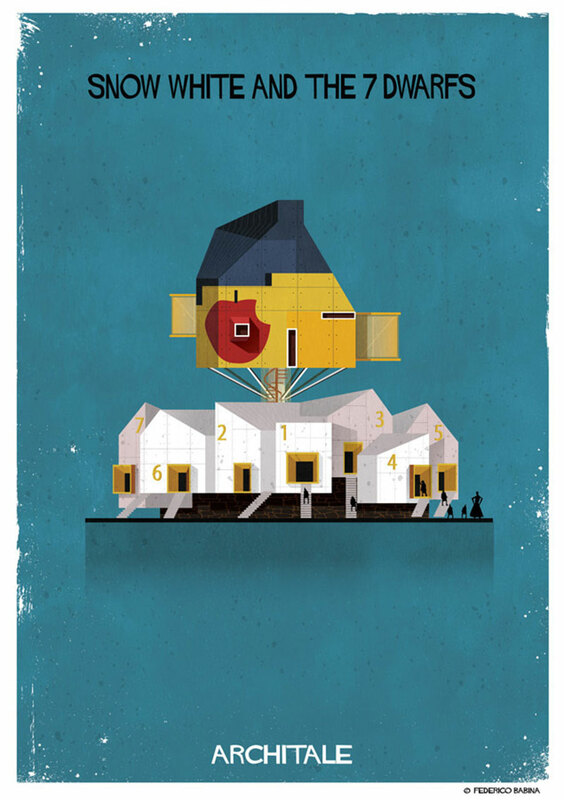 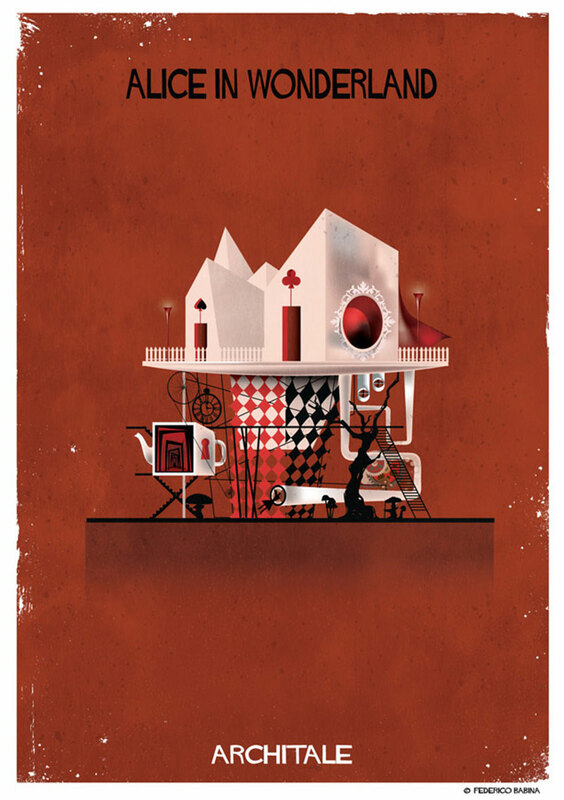 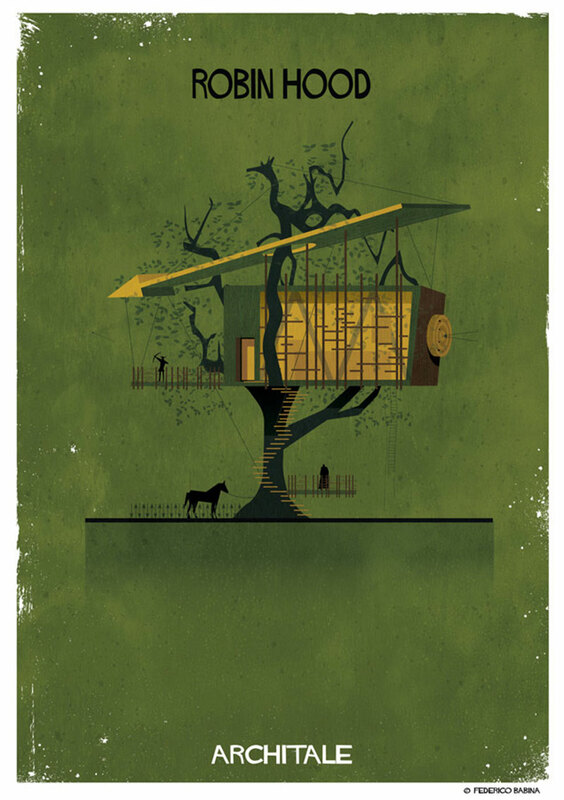 Italian illustrator Federico Babina's latest series entitled Architale imagines the architecture of fairytale characters by using the built form to convey aspects of the story as well as reveal hidden details that relate to each of the protagonists. 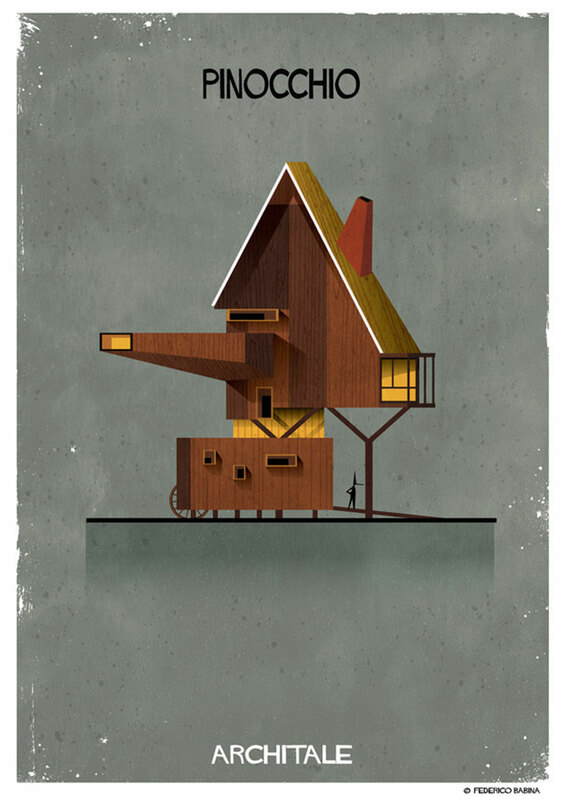 He states that the idea is to use architecture and its shapes to transform the buildings into "narrative objects." 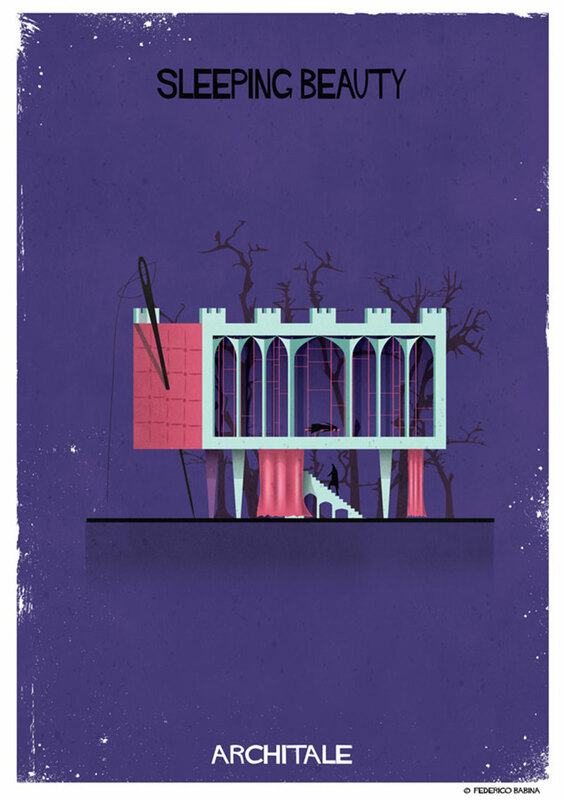 My first steps as an architect were visiting the homes and castles of fairy tales that as a child made me travel with fantasy. 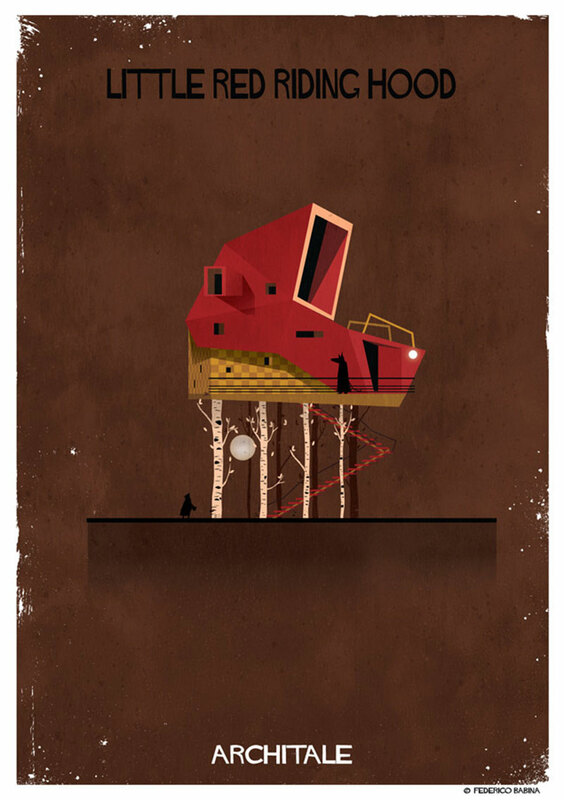 The lighted windows in the dark night that hide secrets and surprises, the objects that have been transformed and come to life, were for me a prelude to the universe of architecture and design. 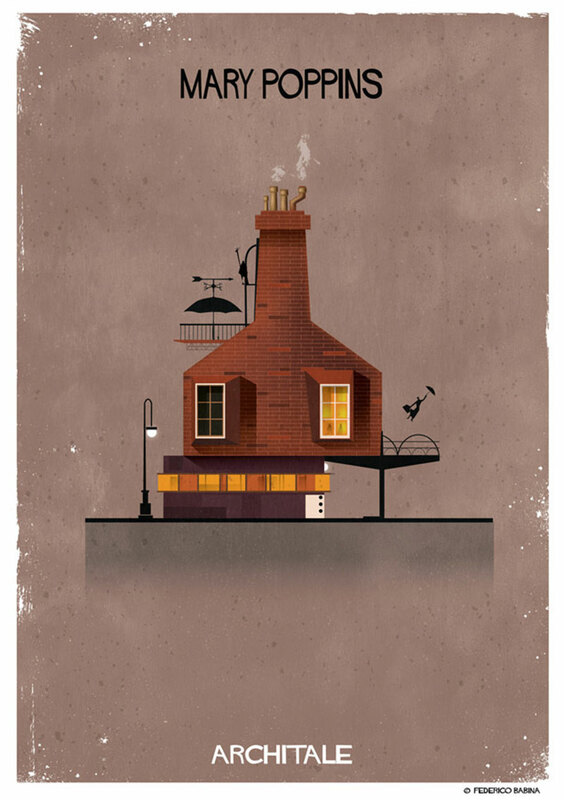 Italian illustrator Federico Babina's latest series entitled Architale imagines the architecture of fairytale characters by using the built form to convey aspects of the story as well as reveal hidden details that relate to each of the protagonists.